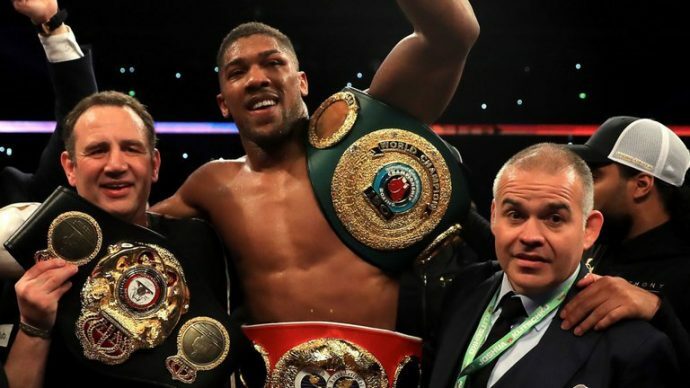 Anthony Joshua hoping to land a rematch with Klitscho – Royal Times of Nigeria. World heavyweight boxing champion, Anthony Joshua is hoping to get a rematch with Vladimir Klitschko in Las Vegas, The Sun reports. Joshua says Klitschko still needs some persuading to take the rematch. It could be recalled Joshua had defeated Klitschko in the 11th round in April after initially being knocked out earlier. Speaking to Sky Sports, the British-born Nigerian fighter said, “The last fight put the expectations on a pedestal but it was entertainment. “We can’t fight too many fights like that but regarding who I’m fighting, I’ve got two options. “One is a rematch with Klitschko, and we’re waiting to see, and we’re trying to dangle a few carrots to make him bite and spark is interest again.